As Special Olympics officials prepared for the Spring Games in the Bay Area, they were blindsided Wednesday with the prospect of an uncertain future. Education Secretary Betsy DeVos has proposed to slash the event's federal funding, about $18 million a year, as part of her education budget cuts. It comes as the Special Olympics Spring Games are just a little more than a month away, slated to take place at Fremont High School in Sunnyvale. Bay Area advocates say there’s more at stake than winning medals, and Cupertino's Stephanie Ching is a shining example. Ching, 35, is proud of her Special Olympics medals and becoming an ambassador for the organization. She appeared on NBC Bay Area’s "Asian Pacific America" and talked about what Special Olympics does for 130,000 Northern California students from 500 schools. Ching was stunned to hear about the cuts proposed by DeVos, whom Ching met at an event in Washington, D.C.
"I think that the Special Olympics is an awesome organization, one that is well supported by the philanthropic sector as well," DeVos said. "I was so sad, and I was really worried about cutting all of the funding because we need all that stuff because it’s for transportation," Ching said. 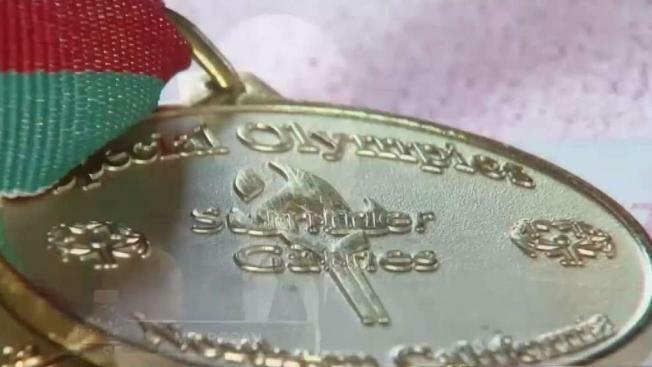 Special Olympics officials said federal money also leads to matching funds and other support, and they emphasize their programs help integrate students, mixing those with disabilities and those without. "We’re not just talking about playing sports," Susana Ching said. "We’re talking about end bullying, have more respect for people." On the heels of the proposal, a fight is brewing in Congress, and DeVos and her critics do not appear ready to team up anytime soon.